The California Environmental Quality Act (CEQA) is a California statute passed in 1970, shortly after the United States federal government passed the National Environmental Policy Act (NEPA), to institute a statewide policy of environmental protection. CEQA does not directly regulate land uses, but instead requires state and local agencies within California to follow a protocol of analysis and public disclosure of environmental impacts of proposed projects and adopt all feasible measures to mitigate those impacts. 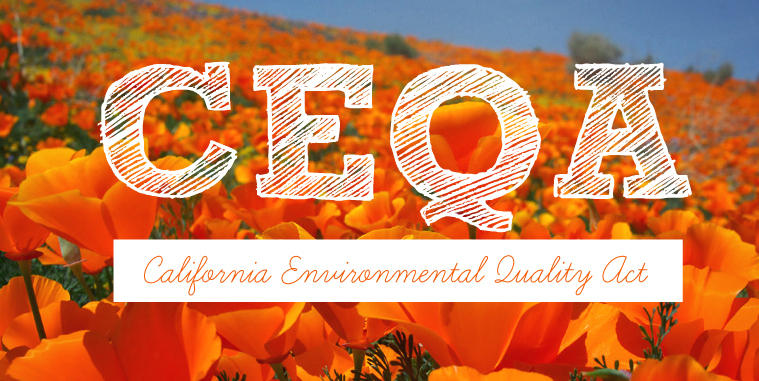 CEQA makes environmental protection a mandatory part of every California state and local agency’s decision making process. It has also become the basis for numerous lawsuits concerning public and private projects.